In any case, let’s dive into this power meter focused post. Instead, my photo is actually of something else I’ll get to in a moment. But first, the pedal based power meter. As you see above, this is clearly a venture between SRM and Look. You’ll remember that Look initially developed a pedal based power meter for Polar back 6 years ago. Then somewhat more recently they diverged and created their own dual ANT+/BLE variant (that virtually nobody bought because they made it so darn difficult to purchase). Both Look variants had dangling pods, just like Garmin Vector 1/2 had. What’s unclear from the tweet above is whether or not the joint venture from SRM/Look did away with the pods or not (if it didn’t, it’d be dead in the water in 2018). Given the pods were installed separately in the past, it’d be easy to not include those in a non-bike photo. And with that, that’s all they’d agree to on the record. There are of course other questions, things like will it support non-round/oval/osymetric chainrings (PowerTap P1 and shortly Favero do, Garmin does not), and will it be dual ANT+/Bluetooth Smart, etc… All of which will hopefully be answered on June 1st. SRM Aluminum Crank Arms Coming in late Summer 2018: You’ll remember that SRM started doing an in-house carbon crank-arm power meter a year or two ago, as a means to lower the cost for a carbon solution. 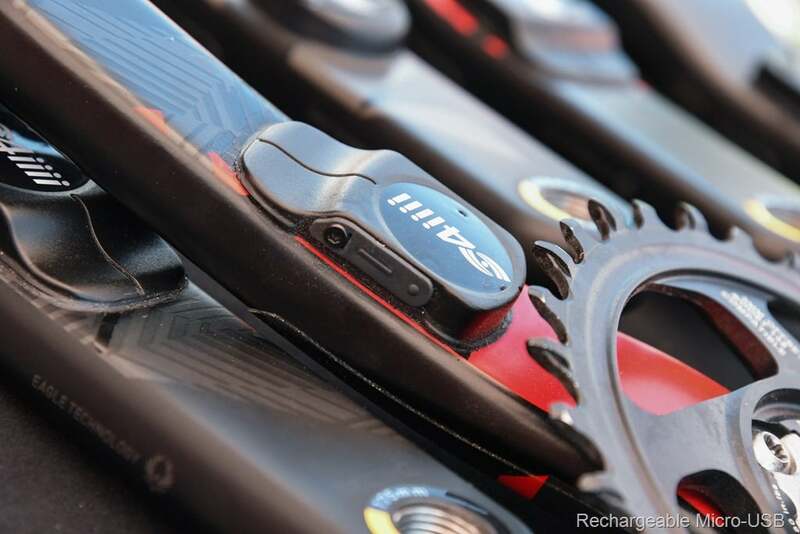 Starting later this summer they’ll ship an aluminum variant of that, which they say will lower the price for their Origin product line of power meters. They couldn’t put a specific price on the table though at this point. Bluetooth Smart compatibility: Finally, given that all existing SRM power meters lack Bluetooth Smart compatibility (useful for apps like Zwift, or Polar/Suunto head units), I asked if anything was in play there. While they are discussing options for a development cycle, it doesn’t sound like anything is near term for that. Phew, there ya have it! 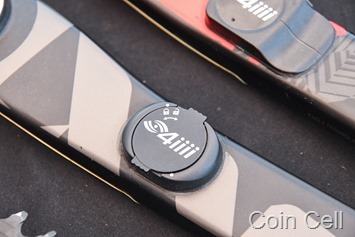 Last fall 4iiii announced their new Podium (it actually has like 98 iiiiiiiiiii’s in it, but I refuse to write that each time) power meter lineup, which you’ll see being ridden on various UCI WorldTour team bikes. However, getting it on your own bike has been a bit more challenging, with the company behind in delivery of the units. However, at Sea Otter they noted that they’re getting things back up to speed and units should be flowing again now shortly. That also applies to recent customer service inquiries, which seemed to be lagging too recently. The company noted that as of last Monday they had an internal meeting to sort out exactly why things were all hosed up with respect to response time. While I didn’t pose my question until Saturday, I heard from DCR readers on Thurs/Fri that their questions had indeed been finally answered. 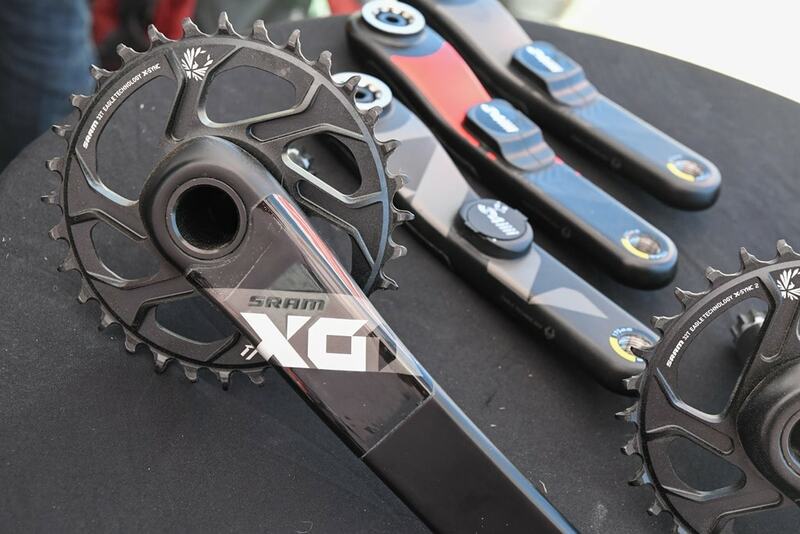 In any case, as for new units, they announced compatibility for XX1 and X01 cranksets, for ‘factory install’ (which is when you send them your crankset and they send it back). Both of these are available immediately, for $399USD. Additionally, they’ve added support for SRAM RED, FSA SLK LIGHT, and FSA K-FORCE crank arms (all of which are carbon). All of which are for the non-drive side variants, meaning, left only. I don’t have a specific timeframe for testing a Podium unit, mostly because I don’t have a Podium unit to test. Perhaps down the road at some point. In a lot of ways, ROTOR’s announcements weren’t terribly different than 4iiii. It had technically previously announced the revised INpower units, but hadn’t quite gotten to the spot of announcing some of the extended models for it. If you turn the way-back machine on, ROTOR’s had a few different generations of similarly named products. Everyone wants the Apple model of calling all things the same (Wahoo and GoPro are both guilty of this too). In the case of ROTOR, it long ago had a left-only unit called INpower, which placed a power meter in the spindle (inside the bottom bracket region). Again, left-only, just like a Stages – but in a different spot. Then came along 2INpower (actually, there was also another ROTOR dual-sided power meter too, but let’s not confuse this story any more than it already is). 2INpower went dual-sided with their measurements, but as part of that, they switched to a different measurement technology provider. That left the original INpower on the older tech. All of which is what ROTOR has now rectified. Both 2INpower and INpower are now using the same sensor tech under the hood, and both are dual ANT+/Bluetooth Smart. Practically speaking, there’s honestly not a significant difference here for most folks (between Gen1 and Gen2), though they noted the antenna is improved. Note: They aren’t calling them Gen 1/Gen 2, that’s me applying logic to the situation for your benefit. The INpower left-only units run on a single AA battery, getting about 300 hours of battery life per battery. They’re also fully IPX7 water resistant compliant. These will be available on both Road and Mountain varieties, at $799, starting towards the end of May/June for road, and then July for mountain. 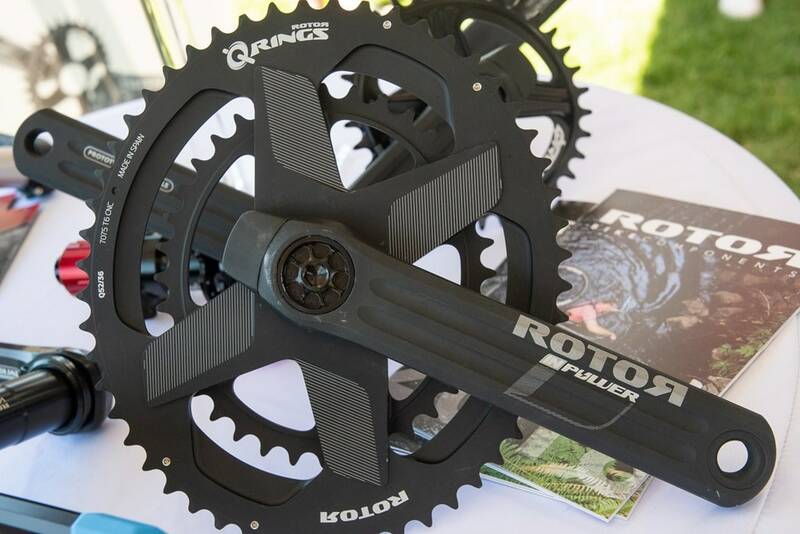 While that price is mostly out of range of the rest of the market for a left-only unit, one notable for ROTOR is that their unit is compatible with Q-Rings (oval chainrings), which most other players aren’t. And unlike most other left-only units, they can be paired with the company’s OCA & Torque 360 apps to get advanced pedaling metric information. Favero: Wasn’t present at Sea Otter, but, more news to come this week once I finish sifting through all the details. As for Eurobike, I don’t expect this to be a big power meter year for major new models from existing players. I expect we’ll see more of what we saw at Sea Otter – which is mostly minor updates, primarily crank arm compatibility type stuff. The last 1-2 years have seen almost every player announce major refreshes of their units, and at this point there’s not likely to be a big push on the redesign front (instead, I expect you’ll see minor price shifts). With that – thanks for reading! And don’t worry, should be a solid week of sports tech as I clear through some of the stuff I shot at Sea Otter, including a deeper look at some of the heads up displays on the market, as well as other interesting gizmos I found there. Plus, I’m looking to kick this Fitbit Versa review out the door, along with perhaps the Suunto 3 Fitness one too. Though apparently there’s some Dutch holiday on Friday that I’ve been warned results in no work occurring and significant amounts of drinking. It’s good to hear that 4iiii seems to be straightening out the rollout of the podium and customer service inquiries. That gives me hope that I’ll see my upgrade soon. From the comments on the last 4iiii article though, only one DCR reader has reported receiving a status update. Yeah, I received another via e-mail/contact form. I think I was the reader you’re referring to, the told me that it was in the factory getting installed and it would ship soon, and 5 days later there hasn’t been a peep. At this point I would urge people to avoid 4iiii factory installs, it seems like they are still backlogged or having issues or something. I can understand if 4iiii ran into delays from technical issues, but this radio silence on status to customers does not inspire trust. At this point, they have my payment, cranks and current power meter and I have not received any confirmation nor have they replied to my request for status, and that makes me nervous. I don’t quite understand why supporting osymmetric rings is such a problem. The power meter pedal measures torque (force times distance, which just so happens to be the same units as work); multiply that by the instantaneous cadence (RPM, which is the inverse of time) and you have power. The osymmetrical rings merely translate that power into chain speed in funky ways – but that doesn’t/shouldn’t affect the power as measured at the pedal. Correct, they all assume constant rotational velocity…and thus the issue. False assumption. True of SRM perhaps. It’s actually true of virtually every player on the market except ROTOR, PowerTap (P1), and next week, Favero for Assioma. If PowerTap and Favero can do it, then why not Garmin? Any rumours of Garmin working on support of asymmetric chain rings for the Vector3 pedals? I suppose it’s just a case of time before they get around to it. No specific reason any given company can’t do it, but like anything else it’s likely in a queue of engineering tasks. Great post! Minor Typo? Factory instead of factor? Does ZWatt have any plans to open up sales to the US? Great update. I’ve been waiting for pedal based power meters for a long time (I own more bikes than I’d like to admit to publicly) and there finally are some awesome options. However, I split my time on road and trail and have always wondered if someone is going to come out with a mountain bike style pedal meter for folks like myself that would rather have one pedal system and wouldn’t mind wearing a more touring-like shoe for road rides (my highlight on road rides these days tends to be how many coffee shops I reasonably can stop at). I may have missed you answering this somewhere. Is a mountain bike pedal system a reality? It’s not and some (including me occasionally) bring it up in every power meter summary post, but it ain’t happening. And then I always put my hope on sentences like… Favero might announce something (and they develop pedal-based power meters) and there’s some related announcement to come (and might that be a new player?). Next, hopeful speculation ends in disappointment again when these announcements turn out to offer nothing to the Shimano SPD crowd. Just went to 4iiii’s webpage, all those iiiiiiis in their texts are really annoying. I don’t know, they may have a product but everything around just does not look confidence inspiring. Especially since there are so many other options around and when you’re based in the EU. And if prices are correct $899 for a dual, crankset not included, XX1 oder XO1 is not really that impressive either. And by the way 4iiii, Alban Lakata is not the current Enduro world champ. He’s the XCM wc. This is like saying Peter Sagan is the current cyclocross world champion. It’s all those tiny bits that would not not let me consider 4iiii as an option: apparently overwhelmed by customer demand, availability/service in Europe, not really a bargain. And somehow simply too complicated. Just laying out my potential customer thoughts, others may not share this view. I’ve had a Gen 2 4iiii left side only Precision Power meter for over a year and can confirm that it works. Not sure what more you’d want for a product like this really, at the time it was the cheapest way to get a power meter on my bike ($450 for Ultegra 6800 arm), and I’ve had no issues with it. When I broke the battery cover, they sent me a new one within a week for free, so customer service is good also. Have fun on Friday.. hopefully it will be warmer than the forecast.. the day is at its best on a good sunny day. Jeez.. you could make a fortune setting up your own market stall! Fun fact on that upcoming national holiday: it’s supposed to be the birthday of the current king or queen. However, the last queen’s birthday was in January, so she was merciful with her people and kept it on April 30th, which was the birthday of her mother (who was queen before her). Then she abdicated and thankfully her son’s birthday is April 28th, so the change was minor. His daughter’s birthday is December 7th… one day they’ll need to decide again. Also, get yourself something orange-colored to wear. Zwift merchandise should do. You’ll feel strange in any other color. And finally: there’s more public (semi-)holidays coming up the week after. But they don’t involve heavy drinking. Because of their history of quality, reliability and after purchase support. There is definitely a reason so many people buy them and they continue to be the benchmark. I’m curious if there will be another upgrade option for the pedals, same as it was with previous generations of Look (-Polar) power pedals? Hi Ray, any news from Garmin on their fitness metrics cross-device syncing? You mentioned it’s possibile that we see something in April. 🙁 I was afraid of this information, so not a big surprise. But nevertheless a sad one 🙂 But a big thanks for giving this information Ray! Greets from Germany! Another look pedal powermeter. Still no love for spd or speedplay pedals! So Ray do you think Favero Assioma is not a good choice with vectors 3 on the market? I’m a newbe in the Pedal PM ‘s world but i can’t get what is the problem with pods. I’m going to buy assioma or vector (single pedal versio) in the next few days…so i’m really interested in your answer. I’ll use them only to pace correctly 70.3 or IM bike legs in races not too hilly. Sorry, in that bullet I’m referring specifically to secondary removable pods, like Vector 1/2 or the previous Polar/Look system. Not sure what you mean exactly but I assume you’re asking about real L/R measurement? 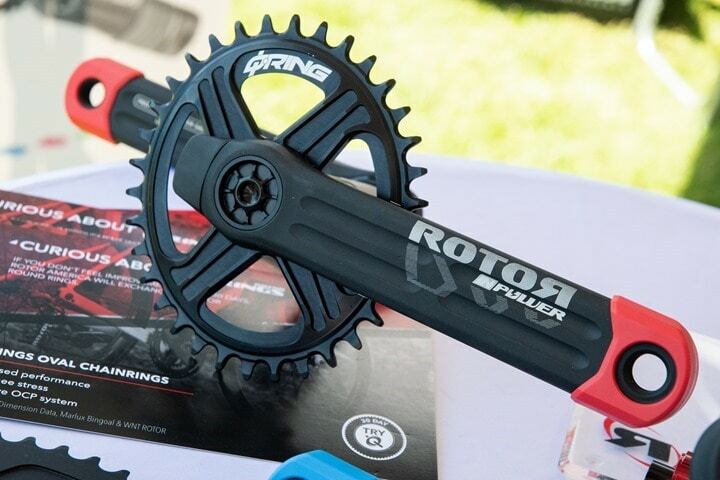 Rotor is selling its 2inpower for MTB as well. Some teammates are riding it and are quite content with it. Checked against P1 pedals. Odd. I couldn’t find the 2 sided version for MTB on the Rotor site last time I looked. Will check again, thanks. Another nice thing about the InPower gen 2 is that it’s one of the few options that combine a spindle- or spider- based sensor (my personal preference) with the ability to run subcompact crank rings. Incorrect. There are many powermeters that do not assume constant velocity. Favero’s Assioma V2 pedals are such of an example of a powermeter that makes calculations based upon instantaneous angular velocity. I believe Quarq and Powe2Max are others. So, stating oval rings inflate power is not entirely true. I’m not sure who or what you’re responding to. But as of today, actually Favero doesn’t yet do that. They will with the firmware next week for Assioma only (there is no V2, just Assioma, before that was bePro). As for others, nope. Only PowerTap’s P1 (can’t remember off-hand for C1) and ROTOR can properly handle non-round rings. As for inflation – yes, they really do. There’s no deflation going on here – it’s only upwards. I know it is not a new device, but I saw where PowerTap dropped their prices basically across the board. P1 is now only $799, C1 is $349, and Hubs are only $399. Look/SRM pedals with pods would have been already spotted in the pro peloton. The fact that cyclists like Adam Hansen using it means (at least for me) that it’ll more like Vector 3. Inflation does not occur, unless angular velocity is assumed constant. Non round rings inflate power on assumed (magnet based) powermeters because they increase time spent in “power” phase and decrease time spent in “dead” phase. However when angular velocity is sampled at upwards of 500hz ACTUAL velocity is measured and not ASSUMED. Therefore, there is no inflation. It’s pretty simple physics. So, devices that actually directly measure angular velocity, there is no Inflation. The Assioma with V2 update states no inflation with non round rings. Do a quick Google search. I don’t want people with non round rings to get scared away from powermeters that support them. Otherwise, thank you for your contributions, they’re invaluable. I think we’re saying the same thing here. My entire point is that unless you have a PowerTap, ROTOR or soon Assioma (no V2, just their next firmware update), your numbers will be inflated. And to clarify my comment, it was specifically in regards to power meters that don’t support non-circular chainrings and why they don’t. I was implicitly excluding those power meters that don’t have any issues with such arrangements – I was trying to get my head around the assumptions that result in the problem, not trying to assert that there aren’t any power meters without such issues. I’m not sure what all the ongoing SRM negativity is about with this website. I do know that I have been a happy SRM customer for 10 years. Yes, SRM’s products are expensive. However in the longterm, cheap is often expensive and expensive is sometimes the best deal. I own a PC8, a PC7 and two SRM power meters. I recently purchased a Stages Dura Ace L/R. It sometimes drops power readings and it’s bit buggy. Not terrible. But it’s certainly not rock solid like my SRMs. My experience, getting customer service help from Stages is like getting help from AT&T. It’s frustrating at best. SRM has always been first rate at answering tech questions and service. My two year old SRM PC8 had a mode button go bad last month. I sent it in for service and within a week it was returned with a new button module. No charge. Try that with Garmin or Stages or Quark or…. DC Rainmaker provides great information. I would gladly contribute $20 for this valuable service. However, there are so many companies selling cheap crap with a lot of bells and whistles features that most customers will never use. SRM is an old school German company. I have no dog in this fight. But they make great, reliable serviceable products. I’m sure that DC Rainmaker is well aware these facts. 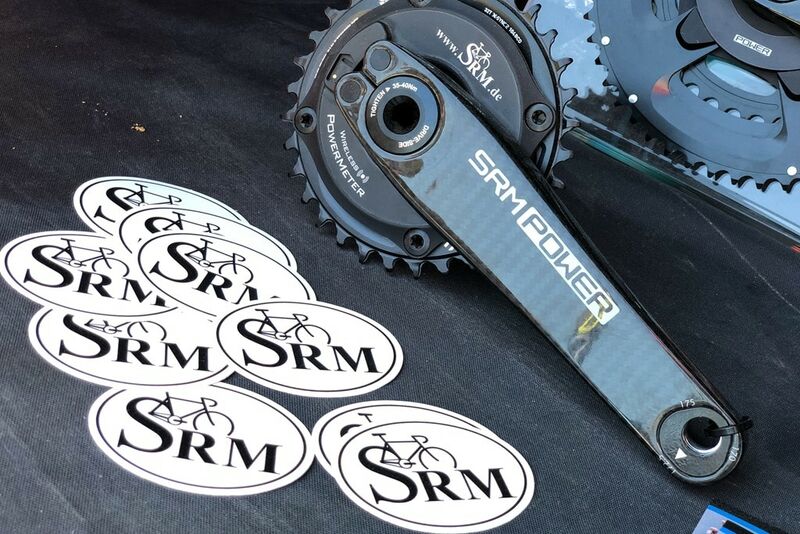 I don’t think anyone is saying that SRM has a bad product or that their service is bad. Instead, the simple reality is that they are no longer competitive and they’ve lost virtually all their marketshare because of it. In the Stages service example you noted – that’s actually odd, because the thing one thing I do hear about folks that have Stages support interactions is that things are resolved quickly. Even more so for Quark and further yet for Garmin (with the notable exception for support delays on Vector 3). Garmin will hot-swap your unit and send it out the same day. Quarq will have your unit back to you within the same week. My point is, support in power meter companies is actually really good these days – surprisingly good (even for out of warranty stuff). If we look the underlying tech, SRM actually isn’t that accurate there in the areas that are challenging for power meters today, namely temp compensation. For example, if you start at the base of a mountain and keep riding till the top (and don’t stop), then SRM won’t properly account for that temp shift. Whereas most of the options on the market today actually do account for that. And all of this ignores the lack of Bluetooth Smart connectivity, which for some head units is simply required now (Suunto, Polar, many apps). The point I was making above in the SRM section is that if SRM wants their pedals to be a success, that’s the criteria for that to occur. Great update. You mention in the video, that you will/have written more about the Garmin V3 issues and how they are planning to solve it… been searching like crazy, but can’t find it anywhere. Can I have a link 🙂 ? I still have issues with the 4iiii support. My first gen precision stopped reporting Torque (cadence still works) and the support wasn’t really helpful and just stopped responding. Then I ordered a new 105 crank arm with a Precision preinstalled. While ordering I made a small mistake and selected a 165mm instead of a 175mm crank arm. I emailed them minutes after placing the order. No response, even after three emails. Then I got mailed the wrong sized crank arm. After complaining some days later I received a single response that they will replace my crank arm with the correct size. But nothing ever happened this response which is now three weeks old. I keep writing them but I get the impression, all my email get ignored. I do like the 4iiii products a lot but can’t say the same about the more or less non-existing customer support. Probably they should schedule another internal meeting…. You mention upcomming news from Favero. Is that about the oval chainring support or is there more news coming that way?